Just Listed :: Stunning Traditional in Mableton! A great place to call home! 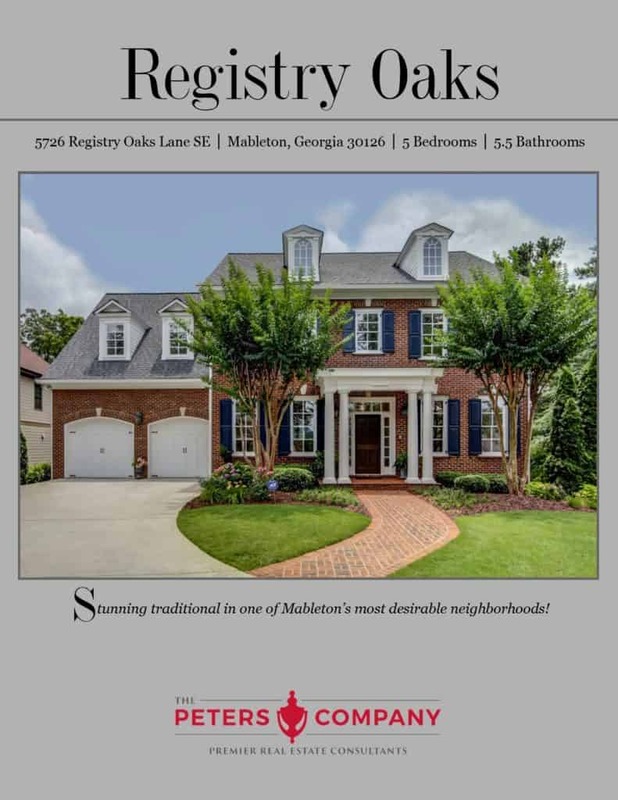 Located on a quiet cul-de-sac in a wonderful enclave of newer construction homes in Mableton, this is just the home you’ve been looking for. The flowing floor plan, custom features, and charming character will never go out of style. The close proximity to I-285 and I-75 makes this home convenient to and from any direction. You’ll also have easy access to the other highways, byways, and activities that make this location such a well loved destination. You will certainly enjoy being only a short drive from several area parks, the 61-mile long Silver Comet Trail, and the new SunTrust Field (future home of the Atlanta Braves)! · The foyer greets you with rich hardwood floors and an open invitation to the dining room and formal living rom on either side. · The formal dining room is open, well-lit, and perfect for the finest of dinner parties. · The gourmet kitchen features top of the line stainless steel appliances, granite countertops, large island with breakfast bar, walk-in pantry, butler’s pantry, and breakfast room. · The family room located off of the kitchen has a cozy wood-burning fireplace and wonderful built-in bookcases. Natural light pours into the room from a series of large windows. · A bedroom with full bathroom on the main level is ideal for guests. · A peaceful sunroom provides additional living and lounging space. · The spacious master suite is a true retreat complete with a fireplace, sunroom, and office/nursery. · The spa-like master bathroom features dual vanities, separate jetted tub and shower, and an oversized walk-in closet with custom shelving. · All additional upstairs bedrooms are well-sized and bright. · Laundry room is conveniently located upstairs which means no more toting laundry all over the house. · The finished terrace level provides a large living area, kitchenette, bedroom/gym, full bathroom with sauna, craft room/flex space, and additional storage. · The outdoor kitchen and spacious patio are an entertainer’s dream. They overlook the private and wooded backyard. · The two car garage easily fits your vehicles along with providing plenty of storage space. ← Something Different this 4th of July?